Successfully Added Huawei Earphones AM180 UltimoPower - Automatic Noise Cancellation (ANC), Silicon Ear Buds, On Wire Controller, Gold-Coated Jack to your Shopping Cart. 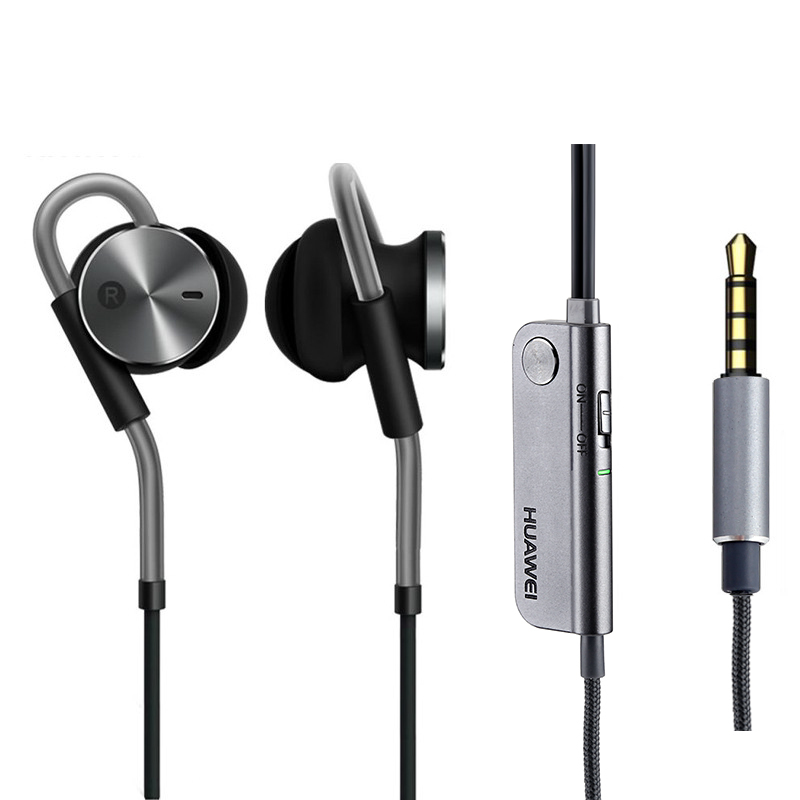 The Huawei AM180 UltimoPower earphones feature Active Noise Cancellation, (ANC). This is powered by a built-in lithium battery and will cut out ambient noise by 15 to 30dB. Allowing you to enjoy your music in peace without disturbances or interruptions. Made from metal these premium in-ear earphones come with silicon ear buds for extra comfort even after wearing them for hours on end and feature braided wires for greater durability and a longer life. An on wire single button controller with built in mic makes it easy to answer and take calls as well as providing music navigation. Click once to pause, twice for next track, and three times for previous track. A LED indicator light is also present to inform of noise cancellation and charging status. If you appreciate good music then you will love the Huawei AM180 UltimoPower earphones as they bring a super base performance that's astoundingly good for in-ear headphones. These well crafted and cheap priced earphones bring an amazing performance with their noise cancellation and base performance that worth every cent. The Huawei AM180 UltimoPower earphones come with 12 months warranty, brought to you by the leader in electronic devices as well as wholesale earphones and phone accessories..